I recently read a book that made me cry. Actually, I sobbed. What book caused me to become so emotional? What was it about this cute scratch ‘n sniff book that had me in tears? Some of my most cherished memories involve my grandma and books. 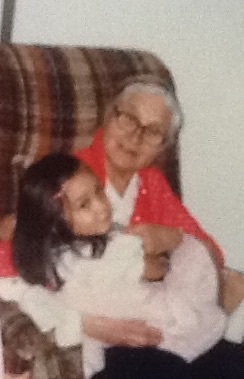 She always read to me and often gave me books as gifts for birthdays and Christmases. Whenever I visited her in the small town of Evansville, Wisc., we would go to the library every few days to stock up on books. Two of my favorites were Curious George and Amelia Bedelia. The moment I opened the cover of Bambi’s Fragrant Forest, the scent of the book and the graphics made me think of my grandma. She had given it to me and had read it to me dozens of times. With each page, I felt more and more like the little girl I once was. 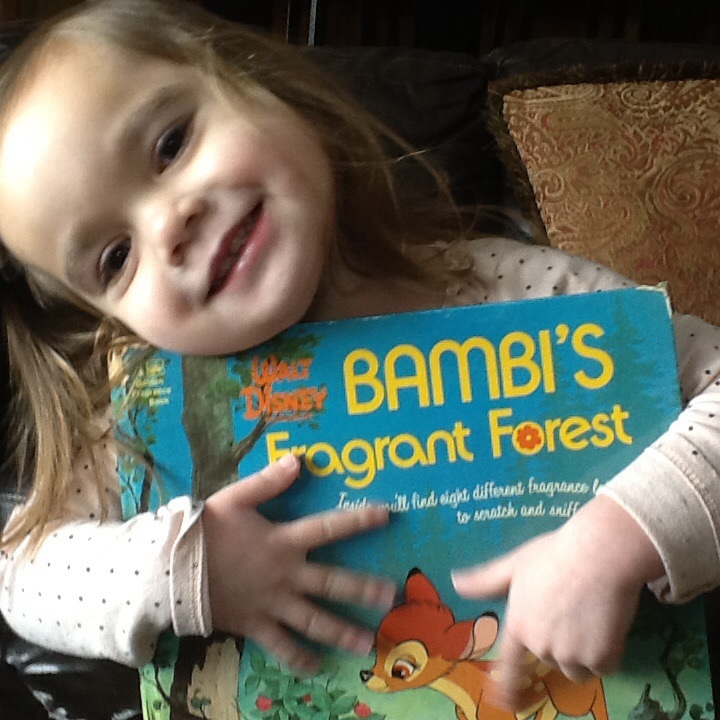 The one who absolutely adored being read to by her grandma. So, I shook off the tears and finished reading the book to my daughter. The whole time, I could hear my grandma reading the story too, and I felt like she was right there with us, helping to create a potential lifelong memory for my daughter.